You may have heard about some popular publishers who have disabled their blog comments due to a high volume of spammy and low-quality comments, and you’re wondering whether you should too. In 2014, Copyblogger announced that they were removing comments… but then brought comments back in 2016. Michael Hyatt pulled the comments section from his blog as well… but after a year, he too brought them back again. Zen Habits turned off their comments permanently due to too much comment spam. Seth Godin says that, while he thinks comments are terrific, they take up too much of his time and energy, so he will never allow them. On the other hand, many publishers still argue the case for keeping blog comments. With no clear consensus from the content marketing community, how are you supposed to decide what to do with the comments on your own blog? Particularly when you are inundated by tons of spammy or low-quality comments? Here at OptinMonster, we believe in doing what is best for our users, even if that means some extra time, effort or expense. At the same time, we also believe in making smart, data-driven decisions–and helping you to make those decisions–so that you can spend your resources wisely. The reasons why you may want to allow blog comments or not is summarized nicely in this post on Fizzle, where popular bloggers Pat Flynn and Everett Bogue debate the issue. When it comes to your content marketing, you can safely assume that the more traffic you get, the more revenue you’ll be able to generate. So the question becomes, do blog comments lead to more traffic? 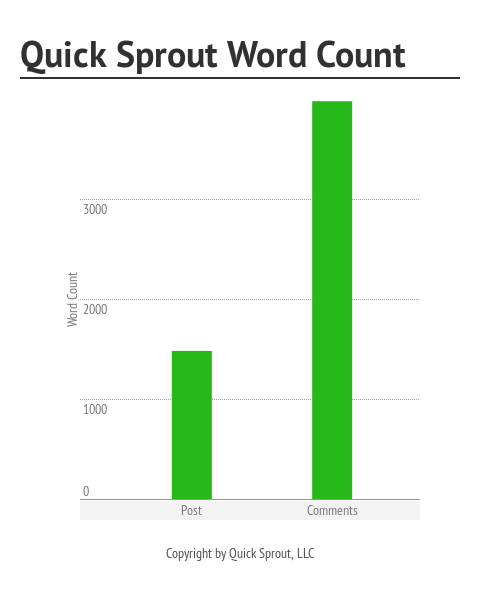 HubSpot analyzed comment, view and link data from over 100,000 blog posts. What they found about the correlation between blog posts and views/links was fascinating. As you can see, they found that there is no correlation between the number of comments on a post and the number of links that post got. There is also no correlation between the number of comments and the number of views that post got. 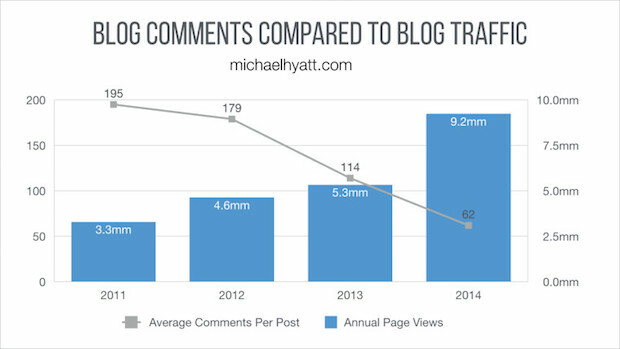 So, the data shows that blog comments are not correlated with increased traffic. 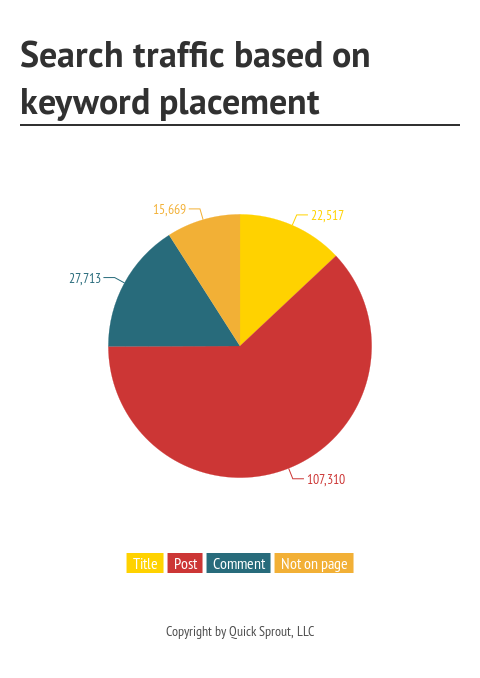 Neil Patel also published some data in regard to whether or not blog comments generate more search traffic. The theory is that the more blog comments you have, the more content you’ll have on each page, and the more keywords you should rank for, which should increase your overall search traffic. However, Neil was not convinced that this is actually the case, so he did some research. First Neil found that he averages about 176 comments per post, with 22.6 words per comment, which means that allowing blog comments nets him an average of 3,978 extra words on each page. Next, he checked Google Analytics and Google Webmaster Tools to see whether the blog comments were resulting in more search engine rankings. He found that approx. 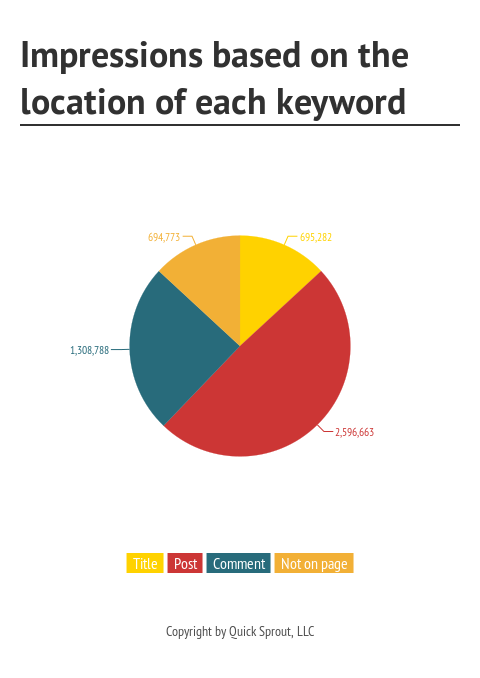 26.7% of the keywords that were ranking in Google were from the comments section. However, to figure out how much additional traffic he was receiving from those rankings, Neil took a look at the actual number of impressions and clicks that those rankings received. I should note that Neil only analyzed 560 blog posts–so far less data than the 100,000+ blog posts from the HubSpot study–but it is interesting information nonetheless. Michael Hyatt made the decision to eliminate his comments section due to the sheer amount of low-quality comments he was receiving, plus the fact that social media is where most meaningful conversations seem to be happening nowadays. In his announcement, he shared the following graph of blog comments compared to blog traffic. As you can see, his traffic shot up by 74% while his average comments per post steadily declined year after year. While Michael did later bring his comments section back, he explained that it was not because it had a huge negative effect on his blog traffic. It was because he wanted his blog to feel more hospitable. Yes, some blogs may receive a slight boost in search traffic due to the comments section. But you’ll need a good amount of high-quality, keyword-rich comments. Since blog comments don’t have a huge effect on your traffic, they don’t have a huge effect on your revenue either. So you don’t need to stress out about the number of comments that you get or don’t get. Did you enjoy this post? You may also enjoy The Best Time to Send Emails (Here’s What Studies Show). I’m glad you enjoyed the read, Emmerey! Glad that the post helped you decide on your own blog comment strategy, Trey. A good follow-up is our roundup of case studies on increasing blog traffic. Please follow us on Twitter and Facebook to keep up with new posts. Thanks for that insight, Craig. For sure, there are people with something valuable to contribute who won’t comment without the opportunity for the link. Each blog has to decide whether the reduced comment moderation load is worth it. You might enjoy our article on email marketing and social media statistics. 🙂 And please follow us on Twitter and Facebook to keep up to date with all our articles. Happy to hear that you found the article useful, Lidiya. :)As a follow-up, check out our article on measuring content marketing ROI. Good read. Thanks for the data. It helps us at North of 52. We only have several comments per post and were evaluating the impact on metrics. Doesn’t seem to be any. Our highest read posts have no or one comment. Hope that works well for you, Laura. As a follow-up, you might enjoy our recent guide to content marketing strategy. Thanks for stopping by, Lutfor! Hy..Good read. Thanks for the data. It helps us at North of 52. We only have several comments per post and were evaluating the impact on metrics. Doesn’t seem to be any. Our highest read posts have no or one comment. We keep our comments open because they give us another way to stay in touch with our customers – and we really do love our customers! 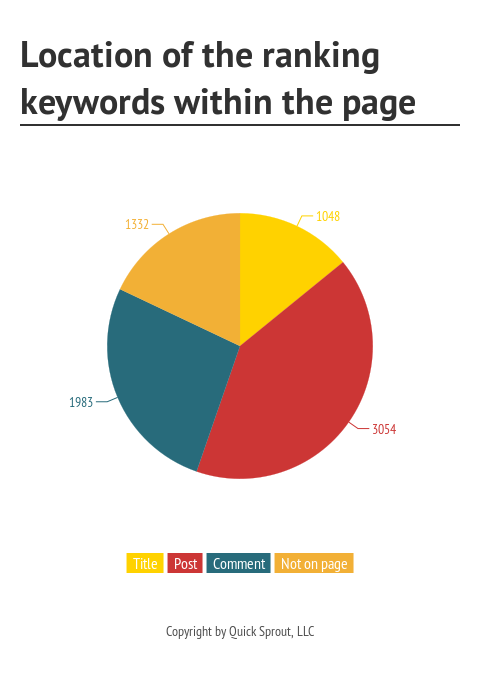 Comments can also help with SEO, though that boost may not be quite as big as it once was. Good article, keep going on.. So, I think I will keep the comments so readers can get in touch with me easily but I’m grateful to let go the pressure from it. I read your blog and i found it very interesting and useful blog for me. I hope you will post more like this, i am very thankful to you for these type of post. I think concentrating on the merits and metrics of blog comments against any individual post misses some of the opportunities and merits comments can bring. Appearing to be open to customer engagement helps to build confidence in your brand. The opportunities gained by hearing the thoughts, desires and (with my commercial hat on) needs of your audience can be hugly beneficial. If we have a commercial site we are here, after all, to serve our audience, perhaps educate along the way but not lecture or dictate to. So any comment however small or infrequent can aid us in that undertaking to build content, products or services that are wanted by our customers. After all without our audience we have no customers, no customers no income. We keep our comments open because they give us another way to stay in touch with our customers – and we really do love our customers! Comments can also help with digital marketing, though that boost may not be quite as big as it once was. Thanks for this post i just added comment in my blog. Awesome post! This is helpful post. This article is clear and with lots of useful information. Thanks for the run down! Thanks for the article. Comments are the best way to connect to users and know about their experiences. Blog Comment is a great way to exchange ideas, thoughts or opinions about what people feel for a particular topic or a blog post. They helps the blog to attract traffic and makes it social so yes they will definitely helps in improving the performance of the website. Comments are good to keep the page fresh.